Developers got a nice treat earlier today when Google released a new dashboard app in the Play Store. That one is available to all right away, but there's another new developer-oriented release called Playbook that you'll have to join a beta to get. 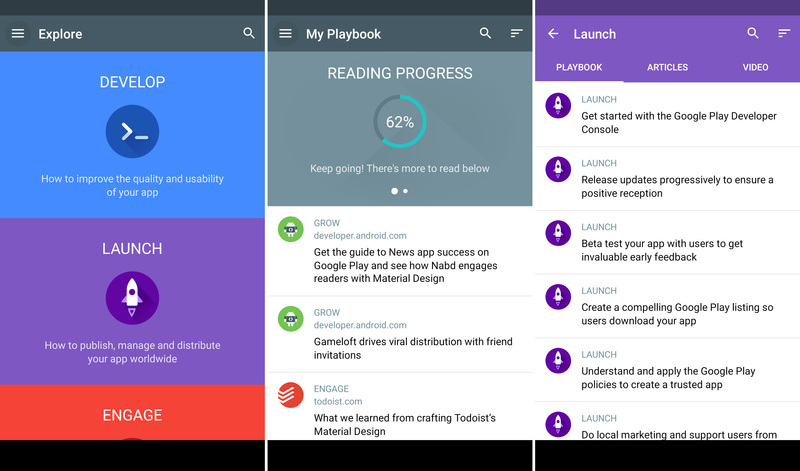 Playbook is an app that aggregates help articles, tips, and videos that help you create a better app.